Schizophrenia, a complex, often severe and disabling, disease may be one of the most misunderstood and misquoted of all mental illnesses. How often have we heard someone disparage another as being a “schizo”, when in fact that person is perhaps conflicted, depressed, or even suffering from multiple-personality disorder, which is not schizophrenia at all. The treatments for schizophrenia have come a long way since the first anti-psychotic drug therapies were introduced in the 1950s, but the disease is so complicated and entrenched with so many potential symptoms, and deviations, that research shows no signs of slowing down. Key to understanding the complexity of schizophrenia and to knowing if you or someone you love may be at risk of developing it is recognizing and acknowledging that it is not a form of depression. 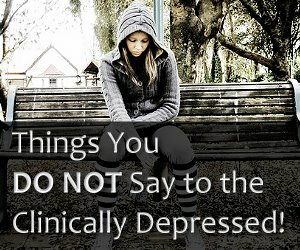 Even though schizophrenics may become depressed and share some of the symptoms, especially the early ones, it should not be mistaken for depression. 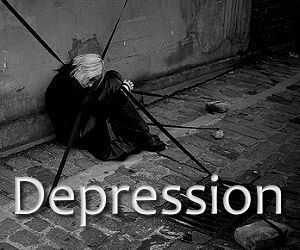 In fact, it is often those who are caregivers for schizophrenics that end up with clinical depression. It’s a painful role to play and is one of many reasons why schizophrenics are often placed in specialized group homes. So, if it’s not a Split Personality, What is it? Schizophrenia affects about 1% of the American population over the age of 18. It seldom occurs in children, although children may exhibit certain behaviors that suggest they may be at risk of developing the disease in their teens or early adulthood. Research into childhood-onset schizophrenia is commanding greater attention these days. Men and women are affected in equal numbers, but males tend to exhibit symptoms at an earlier age. All ethnicities are equally liable to have members that become schizophrenic. After a person reaches age 45 it is highly unlikely they will develop schizophrenia. Two common symptoms of schizophrenia, namely hallucinations and delusions (both detailed later), tend to materialize between the ages of 16 and 30. Schizophrenics are not usually violent, but some of the symptoms they suffer are associated with violence upon them. Schizophrenics attempt suicide more often than the general population, even those with major depression; 10% of schizophrenics die as the result of suicide. People with schizophrenia are 3 times more likely than the general population to smoke cigarettes, and they suffer more addictions to drugs and alcohol. The disease runs in families. Although 1% of the population becomes schizophrenic, 10% of those with an immediate relative who has schizophrenia are apt to develop it. That figure leaps to 45-60% if an identical twin has it. Schizophrenia cannot be predicted with accuracy, but there are ways to tell and test if there might be a propensity toward it. Autopsies and brain scans have shown that a schizophrenic brain demonstrates differences to a “normal” brain, including having bigger ventricles (the fluid-filled cavities that rest at the center of the brain), less or more brain activity than is common, and less “gray matter”. Psychiatric treatments help, but for diagnosed schizophrenics, medications are virtually mandatory to control the symptoms. There is no known “cure” for schizophrenia. No one appears to have simply grown out of it. The greatest issue in treating schizophrenia is that the patients are often delusional (a common and widespread symptom), so when the medications start to work, they begin to believe that they are cured, and go off the drugs, frequently resulting in a serious relapse. There is a tendency among mentally well people to distance themselves from schizophrenics, probably because they know few truths about the disease, are ignorant and therefore afraid, and don’t realize that these patients are not dangerous, by and large. Ironically, not many schizophrenics can manage without some form of human support, so they need others, badly in some cases, to assist them in overcoming their daily challenges of staying alive and coping with what can be terrifying emotional experiences. Always remember that schizophrenics are not necessarily in complete control, but they do not “do” this on purpose. There is no point in being frustrated by the behavior of a schizophrenic, and yet, they can be confounding and trying at times. Because the disease is so complex, there are arguably more theories than facts when it comes to documented causes of schizophrenia. Science still has a lot to learn about this illness. Schizophrenia tends to become evident in the teen years and this can be very difficult to diagnose given that the teen years invoke some of the most bizarre behavior exhibited by humans during the course of their lives. Warning symptoms and signs such as suddenly changing friendships, school grades going down in an otherwise normally good student, general irritability, sleep problems (often hypersomnia or over-sleeping) and withdrawing from social activities may seem like normal teen angst and hormonal fluctuations. In the diagnostic process, this is known as the “prodromal” period. 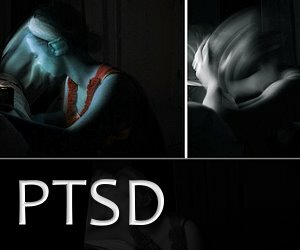 If the normally shifting, erratic and confounding behaviors of teens also include an abnormal tendency to isolate themselves (staying in their room for days on end), a family history of psychosis or a diagnosis of schizophrenia in a first-line relative, unsubstantiated suspicions (such as a former friend who they believe is trying to hurt them or has betrayed them in a profound and implausible way), and strangely illogical thoughts, there is an estimated 80% change of that teenager being at risk for developing schizophrenia. A saliva test can help expose people who are seriously at risk. Schizophrenia has been proven to run in families. Scientists believe that a multiple gene mutation, essential to the normal development of brain cells and chemicals, malfunctions and can trigger schizophrenia. The problem is that research has not yet been able to demonstrate all the gene variations that might be involved, hence the onslaught being hard to predict, even where there is a family history. There is likely an interaction between genetic make-up and environment and most experts agree that this is the primary cause. The combination of genetic predisposition and such physical factors as exposure to a virus either in-vitro or at birth, malnutrition of the mother prior to giving birth, and problems during the birthing process can be “to blame”. Brains that possess a different structure or chemistry, resulting in a degree of imbalance in the cerebral cortex, may affect neurotransmitters in the brain and prevent or limit their functional capacity. The inability of the brain’s neurotransmitters to deliver messages from cell to cell, causing a disconnection. The pre-natal period is emerging as a crucial time period in the development of risk for schizophrenia. Lack of sufficient nutrients in the womb (the result, usually, of the mother’s dietary intake) can predispose the unborn child to the possibility of certain disease, including schizophrenia. Scientists think the connection may be hormonal and the hormones just “go to sleep” until the individual hormones wake up at the time of puberty. This makes sense because most people diagnosed with schizophrenia began to exhibit some form of symptoms in their early teens. The causes of schizophrenia have some certainty and a lot of mystery. Research continues apace, but it is of little comfort to those who suffer now from this debilitating disease. Part of the reason schizophrenia is so complex and frustrating is the range of different symptoms and the varying ways that individuals may manifest them. The ultimate objective of therapy is to control the symptoms, rather than to mask them. Masking them can and almost always does make people, including the sufferer, believe they are cured. They go off their medications and the results can be awful. Delusions. Imagining that your next-door neighbors are doing more than clipping off your prize roses at night, but plotting to enlist the aid of Russian spies to murder you the next time you are up a ladder pruning the crabapple tree is an example of a deluded thought. Delusions are abstract and extreme ideas and thoughts that bear no base in reality. Deluded individuals sometimes think they are close friends with famous people; some celebrity stalkers might fall into this profile. Others may believe that they are a famous person, or are the reincarnation of a well-known historical figure. Far and away the most prevalent form of delusions in schizophrenics is “delusions of persecution”, almost always precipitated by the mysterious voices that only the victim can hear. These voices suggest that others are trying to kill the schizophrenic individual, stalking or attempting to poison them, or harassing or cheating them. None of these suspicions is based in fact. Hallucinations. Most people regard hallucinations as just being images that are not, in fact, there, but hallucinations also involve other senses, such as touch, smell and even taste. The hearing of voices is the most common type of hallucination, and in fact one of the most common symptoms in general of schizophrenia. Some schizophrenics also visualize the embodiment of their voices, but no such individuals actually exist. Some catch the scent of odors, such as roses outdoors in the wintertime, that cannot possibly be there. Others may feel the sensation of someone touching them when there is no other person present. Disorderly Thinking. This is a broad-stroke category of symptoms, but means any form of abnormal thought processes, including “warped” ways of thinking such as extreme illogic, and disorganized thinking in which thoughts come in the wrong order, somewhat like putting the cart before the horse, or in disjointed fashion. In some cases, stories are made up, or the invention of words sworn to be in every dictionary are used in speech. Another example is the sudden stoppage of speech, often mid-sentence, for no explicable reason, and the inability to recall what was being said. Some schizophrenics speak in garbled sentences, and many deliver words in monotone structure. A few come up with their own language, and claim their voices also speak in this tongue. Uncontrolled Movement. A symptom, but one of the lesser ones, this can involve sudden movements of limbs that have no sense of control; many schizophrenics could be called “fidgets” as their body movements, such as tapping of fingers or toes, convey a sense of impatience. Motions are sometimes made as though there is a drumbeat giving them rhythm, and they may be repetitive, possibly for hours without variation. The opposite to this is being catatonic, and schizophrenics almost all experience at least occasional bouts of this, whereby they will sit still, potentially transfixed, for long periods of time without moving, not even to eat or use the bathroom. Fortunately, the catatonic state is one of the symptoms that is readily controlled by the drug therapies available today. Neglect of personal care and hygiene; this is not just someone being lazy or slovenly about appearance. The inability to perform mundane tasks that are more like repetitive physical labor than jobs or chores requiring much thought. What is known as “flat effect” or the tendency to speak perhaps slowly, almost invariably in monotone, devoid of inflection, often with complete lack of facial expression. The inability to derive pleasure from life (this is very much akin to a symptom of clinical depression, hence the confusion in the interpretation of some negative symptoms). Silence and being unwilling to speak, even in social situations, is a classic example. Confusion or a sense of being overwhelmed at the prospect of having to plan ahead, and the inability to maintain such plans if they are put into place. Difficulty in getting and remaining focused on any task or even a thought. Not being able to pay attention to instructions or directions. Low “executive functioning”, which means the individual will have a twofold problem: 1. understanding information; and 2. acting upon that in order to make decisions. The inability to make choices when more than one option is presented. Trouble with a normal “working memory”, which involves the capacity to use information immediately after it has been presented and/or learned. This is very much like acute short-term memory loss. Emotional overreaction or complete lack of reaction to otherwise normal occurrences. An insect bite, for example, soars out of proportion in importance, but a car crash is just another incident in a day of incidents. With emotions out of control and the inability to remember input and do anything with it, cognitive function is impaired and prospects for a normal life are comprised, sometimes to an extreme. The emphasis of treatment for schizophrenia is the eradication of symptoms, but that is a lofty ambition. Controlling them is probably the best aim, with the hope that some will diminish in severity to the point of seeming to not be there. Unlike most forms of mental illness that can be treated with psychotherapy alone, schizophrenia requires, almost without exception, drug intervention to stabilize patients’ symptoms before a psychiatrist can conduct psychotherapy. At least if the doctor and patient harbor any hope for a positive outcome. Prior to the 1950s, there was little hope for a diagnosis of schizophrenia. Patients languished in mental hospitals or proved an endless challenge to their families. With the advent of the first round of “typical” anti-psychotic drugs in the mid-1950s, combined with psychosocial therapy, victims of schizophrenia began to have hope for some level of life, albeit compromised. Since then, a second generation of “atypical” anti-psychotics, released in the mid-1990s, has helped a broad swath of the schizophrenic mosaic attain a better life. All anti-psychotic drugs are powerful and come with inherent side-effects. Doctors usually find it necessary to experiment with different potential prescriptions before they find the one that suits an individual patient’s symptoms and metabolism; occasionally they have to try various individual drugs or combinations of drugs, until the required benefits are produced. Most come in pill form, some in liquid and a few are administered through an injection. Results typically take a few days to begin, and by six weeks most patients feel relatively normal, but that frequently prompts the risk of them going off their drugs because they feel so much better. Not only do anti-psychotic drugs have a long list of negative side-effects, they often don’t combine well with other medications, should the schizophrenic have secondary diseases, and their interaction with simple things like vitamin and mineral supplements can be seriously problematic. Even over-the-counter cold reliefs or headache remedies can mix badly with anti-psychotics. Another anti-psychotic drug used in treating schizophrenia is riddled with problematic side-effects, rendering it a prescription recommended only after the others have been tried, and failed to produce results. The downside to Clozapine (Clozaril) is that it sometimes causes a condition known as “agranulocytosis”, the reduction or loss of the white blood cells that help us battle infections. While the drug is often effective, it is frequently held back as an end-of-the-line option due to its issues, and once it is prescribed, patients are subject to bi-weekly blood tests to check that their white cell count is not compromised. But its ability to corral hallucinations and problems with perception of reality make it worth a shot, especially where other drugs have failed to work. The normal side-effects of typical anti-psychotics include: skin rashes and sensitivity to the sun; menstrual irregularity in females; drowsiness and dizziness; a rapid heartbeat; and issue with eye focus. The side-effects of atypical anti-psychotics are commonly regarded as a bit worse, but it’s a balancing act given that these newer drugs appear to be more effective, by and large. A major issue is significant weight gain, but they also cause a series of problems that affect body movement. Patients report complaints of rigidity, restlessness, tremors and muscle spasm. But it’s the long-term use (and since schizophrenia is not curable, these drugs tend to be ingested for the life of the patient) that is the real concern; it can lead to a condition called “tardive dyskinesia” that results in muscular movement that’s out of control. It is crucial to remember that anti-psychotic drugs are strong and anti-social in that they react poorly with almost all other medications. Given that alcohol and other substance abuse is common in schizophrenics, it is a major factor in prescription drug safety, and the effectiveness of treatments is compromised by alcohol, cigarettes and marijuana use. While we should all quit smoking, it’s harder for a schizophrenic because the nicotine withdrawal can trigger or exacerbate psychotic episodes. The psychosocial version of treatments is designed to help patients already stabilized by taking the anti-psychotic medicines. The concept is to teach skills that help patients manage the daily challenges that form the core of their lives as schizophrenics. What were once simple tasks become complex efforts for schizophrenics and the basic life skills we take for granted may have to be re-instilled. 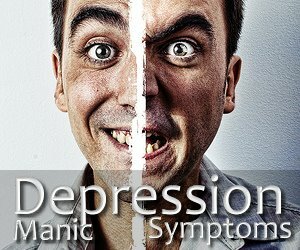 It also involves educating a patient’s family in living with and managing the disease, and the frequent occurrence of substance abuse that accompanies the already complicated world of the schizophrenic. We followed the lives of two people with schizophrenia to get an insight into the reality of the disease. Once we have reported on these two cases, we’ll give you some tips in handling people you know or complete strangers that may be suffering from schizophrenia. Given that 1 in 100 people have schizophrenia, odds are you know one or two already. Jamie was 20 and enrolled at a prestigious university, getting top grades, but he was struggling with choosing a major. Caught between medicine and dramatic arts, which are significantly different paths, he knew he had the brains to get through medical school, but his free-spirit side longed to work in theater, to be creative and part of a collaborative process. In his teens, he’d suffered from depression, with bouts of major depressive periods, but never what anyone would call a manic episode. His parents, both professionals, and his siblings knew him as a bit of a lone wolf, but never found anything startling about him. No one in his family had schizophrenia or, for that matter, depression. But Jamie had heard cruel voices since he was in his early teens. He was confused by them and not certain if they were voices or just weird dreams, and so he told no one. As time passed, the voices (there were, he recalls, about 6 distinctly different ones, sometimes all shouting at once, and occasionally speaking to one another, not just to Jamie) got worse, shouting at him and telling him he was useless, stupid, a “waste of skin”. Then one night, alone in his dormitory room, unable to sleep for the cacophony in his head, Jamie tried to silence the sound by having a glass of whisky and a cigarette. It had the opposite results to what he had hoped for. The voices became intense, threatening, and argumentative. They fought among themselves and then united in one vile scream instructing Jamie to kill himself. Luckily, his suicide attempt failed. Shortly after, Jamie was tested and then diagnosed with schizophrenia. He moved back home, gave up his university studies and began treatments. Medications greatly reduced Jamie’s symptoms. A sympathetic friend of his parents who owned a restaurant gave Jamie a part-time job as a dishwasher. For a while, things were calm, if not sadly reduced for a young man who once had such promise. One day, Jamie overheard his parents complaining about the high cost of his numerous medications, and he simply figured he was better, so he quit his prescriptions, without mentioning it to anyone, and one night, a few days later, when he was at work, the voices came back. This time they told him to get the kitchen knives and kill himself right then and there. James growled back at them, under his breath, and was unable to continue operating the dishwashing machine. An astute cook recognized that something was wrong with Jamie and attempted to find out what was troubling him. Jamie brandished a knife and began to scream. He was about to run out the back door of the building, still with the knife in his hand, when the kitchen staff tackled him, dropped him to the ground, and took the knife from his hands. The police were summoned. The owner knew right away what had happened and Jamie was taken to hospital, where his doctor placed him back on his medications and held him for observation until he stabilized. This was a major lesson for Jamie, and while it may have been embarrassing for him, now that the restaurant staff know he has schizophrenia, they are all aware of what danger signs to look for. Jamie can’t drive because of his disease, so he rides his bike to work every day, and has made some friends among his fellow staff members. Awareness helped them better understand him and he feels safe; so do they because they know Jamie isn’t normally violent, just a good guy with a serious mental illness. Jamie is a chain-smoker, but on his doctor’s advice he gave up beer and all other forms of alcohol. He recently got a small apartment, and he’s one of the few schizophrenics that is coping with life on his own. Jamie is almost 30 now. He also suffers from occasional depression (his doctor thinks that might be a side-effect of one of Jamie’s many prescription drugs, or the result of a combination of them) and is sometimes hard to talk to, even for his parents, friends and co-workers, but everyone understands and if Jamie is low, they try to be respectful and show kindness. Jamie is aware of himself to that degree, and is very thankful that people teat him so well. Jamie is one of the lucky ones. Schizophrenia doesn’t just affect the victim. In fact, some people who suffer from schizophrenia are so out of touch with reality, they don’t comprehend the nuances of the disease or the fact that they have it (another reason why schizophrenics sometimes withdraw from taking their medications). The people who have a strong bond with the schizophrenic individual have their work cut out for them; this includes institutional care-givers, parents, spouses, friends, co-workers (such as is the case with Jamie), siblings and children. Greg met Mary when he suffered an acute bout of depression and had to be hospitalized. At that time, nearly 20 years ago, Mary’s mother thought her daughter was depressed; she had no idea what schizophrenia looked like and suspected Mary was depressed. Greg and Mary became friends and then were romantically involved. Greg felt a deep bond because they shared the scourge of depression and were able to be fully empathetic with one another. Then Mary began to hear voices and Greg, a well-read, intelligent person, recognized this as a possible, if not likely, symptom of schizophrenia. And the descent began. When Greg decided he had better learn all he could about schizophrenia, he discovered that symptoms are generally classified as “positive”, “negative” and “cognitive”; he found nothing positive about it and over the many years that he fought to keep Mary living at their mutual home, rather than in a group home, he watched her deteriorate as her doctors paraded her through the numerous prescriptions that are supposed to control the symptoms. The only one that worked, the “last ditch” effort, posed a danger to her white blood cells. Luckily, Mary exhibited only very mild paranoia, a common symptom of schizophrenia; some schizophrenics demonstrate severe paranoia. On occasion Greg and Mary would watch a television program and then the next day, Mary would be found mimicking the behavior of a character on the show. She stopped bathing and he had to regulate a new routine of hygiene for her. She would, if she went unchecked, wear the same clothing day in and day out for weeks; she had a large wardrobe of outfits, but defaulted to the same sloppy set of sweats, and the same underwear, every day; Greg had to manage laundry, and help her dress every day to ensure she wore clean clothes. Mary lost track of the passage of time; a day would pass and she would think it was an hour, or an hour would pass and she believed it was a year. She went from being gregarious to withdrawing from other people, even her sons, and when she did speak in social situations, her voice was flat and monotone. They stopped going out and having friends over. Trips to the doctor or hospital became their only outings; they even ordered grocery store items to be delivered. Greg’s friends and family hardly saw him; they were uncomfortable with Mary’s decline (she had also stopped wearing make-up, and would not even brush her hair unless Greg did it for her). Two elements dominated Mary’s “behavior” (in quotation marks because the actions were not of her own free will, which had been consumed by schizophrenia): 1. the prevalence of voices; and 2. her removal from reality. The hearing of voices is a very common symptom of schizophrenia, but each victim experiences something slightly different. In Mary’s case, it was a group of four individuals and she had names for each of them. It was unclear if they told her their names or if she named them. There were two men and two women, Sam and Carl, Ellen and Susan. Sitting alone on the patio, having a cigarette, Mary would hold court with her voices, sometimes being powerfully in charge of them and issuing orders, but mostly they told her what to do and when they did it was invariably meant to be destructive towards Mary, and sometimes towards Greg or their pet cat. Mary’s voices urged her to kill herself, telling her she was useless and no good. They also directed her to do things that could damage the few people, like Greg, who still cared about her. He found such things as bleach in his glass of drinking water, old cat food in teacups, and bits of metal in his food; Mary’s voices were getting more creative. The day that Mary urinated on their bed and several piles of laundry, Greg was at wit’s end. Mary’s removal from reality is also common in schizophrenics and doctors regard this as a type of defense mechanism. For example, if Mary had been negligent in the few household duties Greg assigned to her, she would not notice. A pile of rotting food scraps in the under-sink compost bin would be left until Greg couldn’t cope with the stench; Mary smelled nothing unusual. And it wasn’t just not embracing reality, it included grandiosity; she decided that she and the late Doors singer, Jim Morrison, were close friends. She became obsessed with every lyric of every Doors song and believed they were written for her. Other symptoms either stealthily infiltrated their lives, or co-existed with the major ones, including: Mary always living in the immediate moment and being unable to plan ahead, not even a few minutes ahead; Mary seeing a form of halo composed of glittering diamonds surrounding the heads of people she knew or who were strangers passing by in a hospital hallway; hypersomnia in which there were periods that saw Mary sleep 12 to 16 hours a day for a week or so, and then return to the normal 8 hours; brief or long periods wherein Mary was catatonic (there are degrees of this in schizophrenics and Mary’s was not as acute as some) and would fixate on something, such as an object in a store window, and refuse to walk away from it until she became catatonic in staring; Mary would sometimes fixate on a person’s face, never altering her gaze, much to the chagrin of the person (most often a child) under her constant, steely stare; and her drifting off, perhaps in mid-conversation, to the point where Greg had to gently shake her and shout to bring her back around to the moment. While Mary was the technical victim of schizophrenia, it was Greg that arguably suffered most; at least he was conscious of what was going on, and because Mary had a much less acute understanding of her world, Greg found that he had to watch her constantly. This affected his ability to work outside their home, and to take care of his own needs. As time passed, the clutter in their house accumulated, and the housework piled up. With less income, due to Greg not working, they couldn’t afford to pay someone to do housekeeping. Finally, Greg decided that Mary had to be moved to a group home; he had virtually lost his own life in the necessity of caring for Mary. His depression had returned with a vengeance. She found something in her diseased mind to fight him all the way, registering as immense guilt for Greg. Unfortunately the group home where Mary was to live turned out to be less than well-managed. She lasted there 2 weeks and Greg brought her home. The cycle resumed and Greg’s mental health declined. At one point he declared that the only sane being in the house was the cat. Greg sought counsel with his psychiatrist, and part of their discussion involved a provocative question that doctors treating schizophrenics must repeatedly ask themselves: is the behavior entirely the fault of the disease, or partly to do with the powerful medications being used to treat the symptoms? There is no easy answer. Over time, Mary’s behaviors grew worse and Greg’s friends sat him down to say, “What you have tried to do for Mary over the last 15 years is noble, but it’s killing you.” Greg enlisted Mary’s two sons, now adults, and insisted they take their turn at housing Mary for as long a Greg needed to regain his own mental and physical health (this gargantuan stress and responsibility had resulted in a heart condition and diabetes for Greg). Mary moved in with one of her sons, theoretically on a temporary basis; Greg never saw her again. He heard that she had been moved into a group home, one that was supposed to have a great reputation. He wished her well, but had to forge his own way to recovery. As the caregiver to a schizophrenic, a large chunk of his life had been compromised. At 60 years old, Greg is starting over. In the early days of educating himself about schizophrenia, Greg came across a book called “How to Live with Schizophrenia” by Dr. Abram Hoffer and Dr. Humphrey Osmond (published in 1974 by Citadel Press and re-released with updates in 1992). The book addresses not just how to live with this disease if you have it yourself, but the effect it has on caregivers, families and friends, and society. What Greg learned from this somewhat controversial time is Dr. Hoffer advocates that schizophrenia can be prevented, and even cured if caught in its early stages of development. Key to Dr. Hoffer’s approach is that there are signs of impending schizophrenia, and a number of risk factors that become evident in adolescence or early adulthood. As soon as these show themselves, huge doses of Vitamin B-3 (niacin) are supposed to effectively stop schizophrenia in its tracks. He believes that even if the disease has manifest to some degree, it can be stopped or assuaged by this massive vitamin therapy. Dr. Hoffer has also published a book on “curing” alcoholism, a radical concept, but also based on his theory that all alcoholics have a Vitamin B-3 deficiency. In Greg’s situation (Mary’s case) it was too late once he learned about the potential curative and restorative properties of B-3, but he met some people through Mary’s many hospital visits, who swore by the therapy and said it had eliminated the development schizophrenia in them or their loved ones. The one thing that must not be overlooked about this extreme and controversial method of controlling schizophrenia is the toxicity of large doses of niacin; is the benefit worth the risk? Schizophrenics waver between being present and being “elsewhere”, and very few people, even those that live with schizophrenics, can tell at a quick glimpse what state they are in at any given moment. Therefore, always err on the side of caution and assume they are in the removed state, or in a state of mind that is full of classic symptoms. If they happen to be having an especially lucid or “normal” moment, or if their medications are working sufficiently well that they appear not to have the disease, still be cautious in your approach. 2. You seem really nervous. 3. Cheer up; you look glum. 4. Hey, nobody’s going to hurt you, it’s all in your imagination. 5. You’re just depressed; you’ll get over it. 6. Why can’t you keep a job! 7. You’re not making sense; just put your thoughts in order. It might seem insignificant that 1% of the population develops schizophrenia, but if you frame that within the population of the U.S.A., that’s an astonishing 3 million people! Many schizophrenics appear to be normal until something challenges their tightly, necessarily regimented world. The risks appear early enough that we can be prepared, and maybe even take steps to ward off what seems to be the inevitable, but once schizophrenia has sunk its claws into a human being, their lives, and those who care about them, will shift forever. Online Bipolar Tests: How Much Can You Trust Them?